Where can I find sample source code? Sample Source Code can be found in the online help. First select your compiler and then download the sample source code. 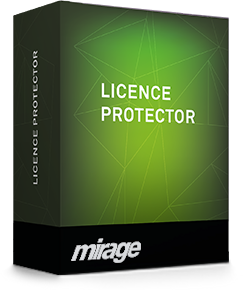 Which Operating Systems are supported by Licence Protector? Yes, Licence Protector has an inbuilt option that a user can transfer the license to a new computer. Can I protect a Linux, IOS or Android application? Yes, but the feature set is limited. To protect applications on non Windows / MAC operating systems like Linux, Android or IOS, a license for Activation Server 4 is required. The Activation Server provides the back end application for the administration of licenses - create keys, lock licenses, change activations or generate reports.